Go from boxed to beautiful with a flick of the wrist. 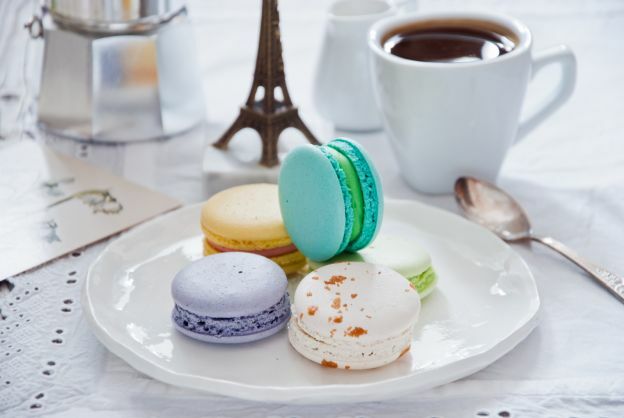 Macarons, those colorful scrumptious French cookies, can be tedious and time-consuming to make at home. Because they're famously fickle, many of us were overjoyed when they showed up ready-to-eat in our favorite grocery stores. Suddenly, Paris became accessible to many more of us! However, if you're the type of person who likes to make their own desserts, it may feel like you're accepting defeat every time you reach for a box. This trick, while simple, is a great way to personalize those cookies and regain some pride, no matter where you bought them. 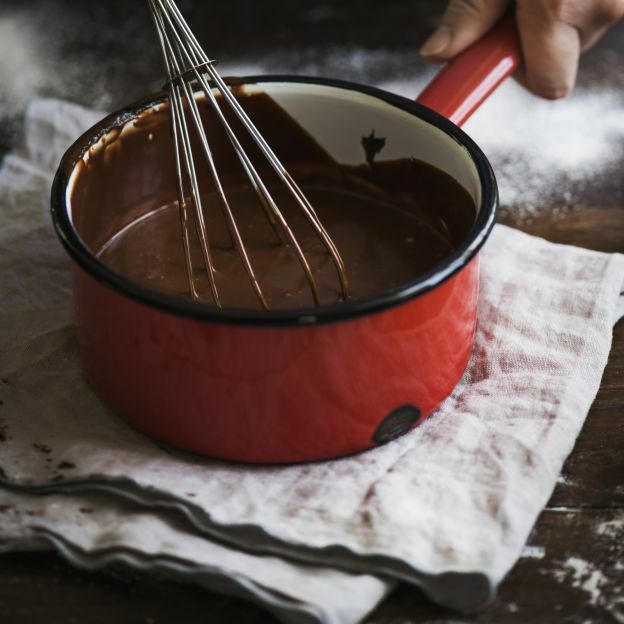 The next time you bring home a box of macarons, try this trick: dip them in dark chocolate! Dark chocolate pairs well with the almond cookie, and the most popular macaron flavors, all while cutting some of the sweetness. Dip half of each macaron if the box contains assorted flavors. If your party is food-allergy-free, dip the whole cookie in chocolate for a fun flavor-guessing game that will keep everyone surprised. Not only is it an easy way to dress up the fancy little morsels even more, but it also adds a small personal touch to a store-bought dessert. Hungry for more? Here are 50 No-Bake Desserts to Enjoy this Summer.